Life at PE.fiberoptics is non-stop. Keeping our colleagues up-to-date is a full time job so to help, there are a few items of news below that might be of interest. PE.fiberoptics goal is to maintain its position as a trusted partner in the field of fiber testing. We continue to invest heavily in new products and are pleased to announce that we have been working on a high linearity, high dynamic range, multi-wavelength OTDR for use by fiber factories. 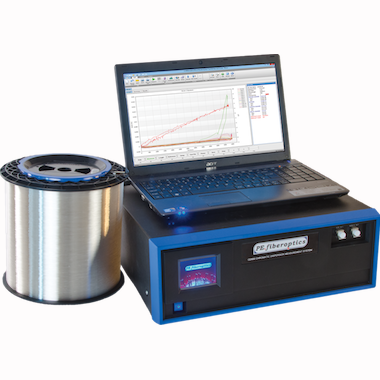 It is our intention to provide choice to our customer base by making available a cost effective range of instruments for the measurement of Loss Linearity, Spectral Attenuation Modelling and MFD. The project has progressed well and as we close in on the final specifications, we are looking for additional partners to help guide us to the finished product. If you wish to be part of this program, please contact us. PE.fiberoptics is growing its presence around the world. It has long been accepted that PE.fiberoptics is a world leader in the field of optical fiber test. Our products can be found in most major fiber and cable manufacturing sites. In addition, our portable portable test products can be found in use around the world on all seven continents. To enable us to cover such a wide and diverse market, we use a network of agents and distributors and today, we are please to announce the appointment of two new agents to cover Russia and Egypt. For Egypt, we have appointed Universal Advanced Systems based in Cairo. The contact at UAS will be Mr Ahmed Gendia. For Russia, we have appointed Concept Technologies based in Moscow. The contact at CT will be Mr Ildar Fahurtdinov. Please join us in welcoming our new agents to our family. PE.fiberoptics is pleased to announce the immediate availability of its latest product designed to solve all those nagging geometry measurement problems. End user demand has driven the development of this latest offering from PE.fiberoptics. 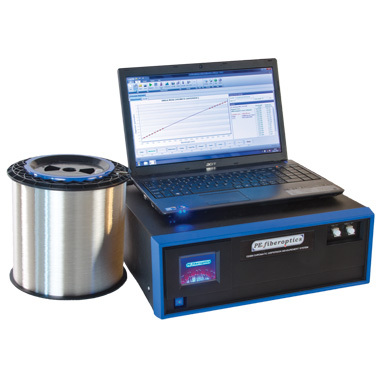 The ability to measure a wider range of coloured fibers, at twice the speed of existing solutions whilst fully complying with IEC standards are the reasons given by the first customers to take delivery this month. PE.fiberoptics is pleased to announce two simultaneous deliveries of yet another innovation in the measurement of Spectral Attenuation. PE.fiberoptics has recently delivered the latest version of the SA500 and the WS500 measurement systems to two undisclosed users. Deeply involved in the manufacture of specialist fibers and cables used in the Submarine Communication industry, the users state that the choice was driven by the fact that existing solutions were not up to the ever increasing demands of the Submarine Cable industry. 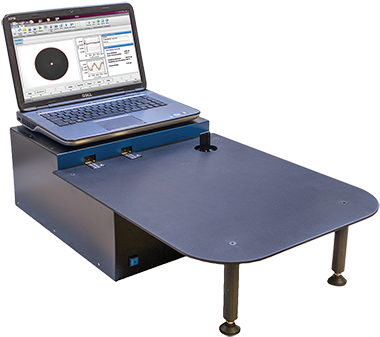 PE.fiberoptics releases the latest incarnation of it's world beating Spectral Attenuation measurement system. Originally developed for the Submarine cable industry, there is now demand for this type of performance in fiber factories, where spool lengths are increasing beyond 50km to 75km and 100km; lengths that the best OTDRs find difficult to test successfully. PE.fiberoptics is pleased to announce the release of a redesigned website. The new website has been created as a more informative tool, giving detailed/technical explanations of our products and services, something you told us was lacking in our previous website. There is still some work to do to complete all the pages, so please bear with us while we finish the job. 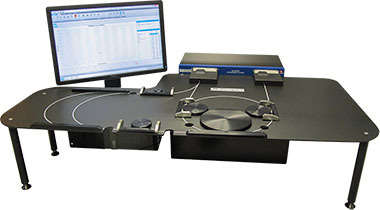 Demand for productivity improvements spurred us into developing our latest generation of PMD testing solutions. 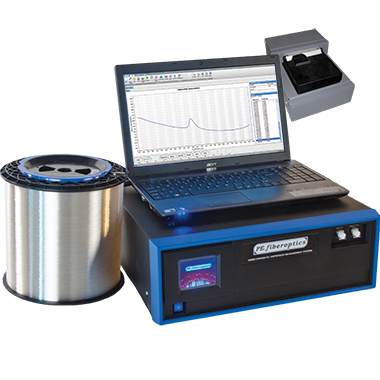 The PMD500HS builds on the reliability and usability offered by our previous version(PMD4000) but with faster(HS) more productive measurements made possible by our use of the latest in data acquisition and processing technology. Continued innovation and investment at PE.fiberoptics has yielded yet another major improvement in the series of Fiber Strain measurement systems that began with the SPL3 and happily continues with the SPL500MW. Why 'MW'? - The improvements we have been able to integrate into the design have enabled us to offer for the first time, a truly 'Multiple Wavelength' solution. 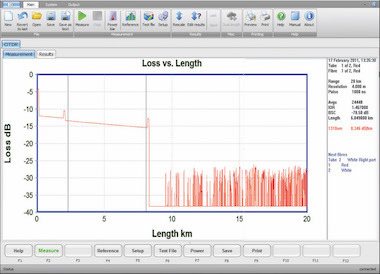 Say goodbye to multiple tests with the associated errors that entails and say hello to the ability to perform the tests at all the wavelengths of interest in a single test. PE.fiberoptics announces it’s new 500-series range of high speed optical fiber test equipment. Wokingham, Berkshire, United Kingdom – January 28, 2013 – PE.fiberoptics Ltd, a leading provider of fiber optic test equipment, today announced the formal release of its all new 500 series range of fiber testers. PE.fiberoptics is pleased to announce the movement of operations to a new larger factory. After many years, we finally out-grew our existing building and decided that the time was right to invest in a new and larger production, R&D and office facility. As the new facility is in the same industrial estate as the old one, the only contact details to change are the building name and ZIP/postal code.